Always the bridesmaid, never the bride. That about sums up RER Energy Group’s inclusion on the Greater Reading Chamber Alliance’s annual list of the 50 fastest growing businesses. The Muhlenberg Township-based solar power provider has been on the list seven years in a row and came in second the last three years. “We’re trying hard to get that No. 1 spot, but it’s really hard,” said founder and President Jim Kurtz. Kurtz, a graduate of Oley Valley High School, founded RER Energy Group in 2009. Its mission is to help clients use less energy, and further, to design, develop and install solar energy systems that can help them turn sunshine into dollar bills. 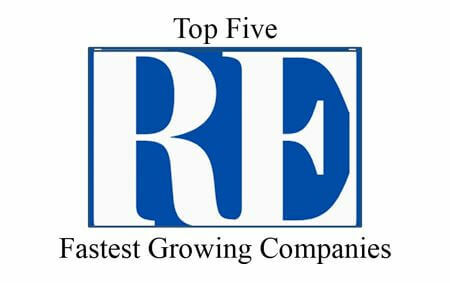 Solar Power World listed RER Energy Group as the top commercial solar developer in Pennsylvania for each of the past three years, and the company is ranked 684 on Inc.’s list of 5,000 fastest growing companies in the country. There are several reasons for RER’s rapid growth, Kurtz said. The main reason, he said, is that the solar industry as a whole is expanding as more and more people realize the value. Kurtz also attributes RER’s growth to listening to customers. About 50 percent of RER’s sales are from repeat customers: either existing clients at a new location or investor groups building additional projects. RER Energy Group is an industry leader in providing cost-effective, high-quality solar systems throughout the United States and Latin America. The company has developed more than 40 megawatts of solar energy, obtaining over $30 million in grant proceeds for commercial, industrial, agricultural, municipal, and non-profit customers. For more information, visit www.rerenergygroup.com.